The Bukar spread and created new villages out of the original 3 as agricultural land grew scarce, or when a group adopts a different new religion. Sometimes it is due to bad omens. All in all, there are 24 villages within the Bukar area, Serian. Munggu’ Babi: (Cold Hill) Bulit on the lower slope of Darud Sadong, then moved to the foot in 1877 by Sg. Ta’ee, renamed Kpg. Ta’ee. 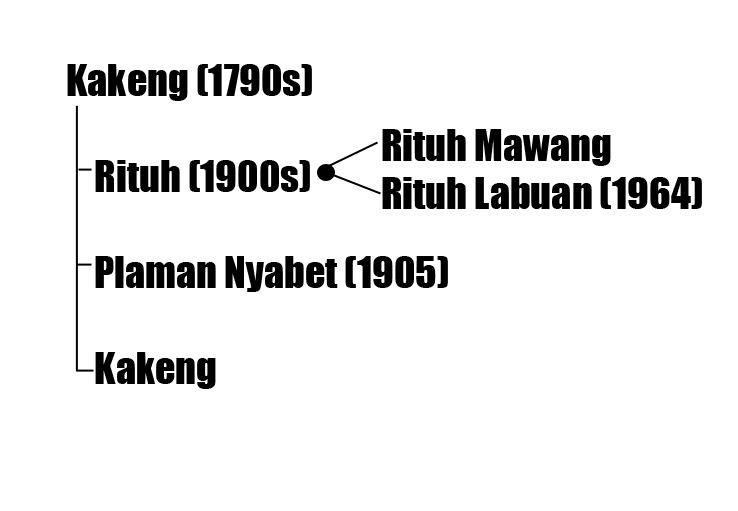 Tian: Originally settled at Munggu Mawang with a Ramin Ntangan (longhouse) before dismantling it (1946 – move to Munggu Mawang Ulu) and moving down to Sg. Tian in 1962. Sekawan: A group of families became Catholics and decided to open their own village from the predominantly Anglican Tian. Kajuh Barie Kuhas: Also known as Kajuh Bandung. Originally a Plaman before turning into a full village. Kakeng: The river running nearby had a lot of deers inhabiting its vicinity, making a barking noise that sounded like ‘keng!’. Thus it was named Sg. Keng and later Kakeng. Rituh: (Muddy) Wild boars running across the shallow Sg. Rituh, muddying its waters. Rituh Labuan (Bahru): Lots of Buan trees. 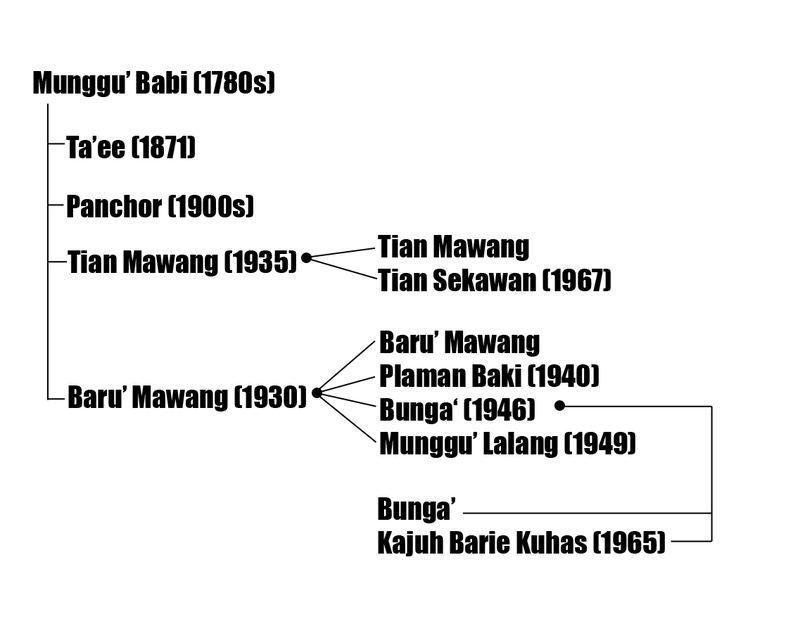 Lanchang Sabai: Originally Lanchang SPG (Anglican). Name changed in 1948. Lanchang Sijo: Originally Lanchang SDA. Tarat Mawang: Named after the Minarad snake. 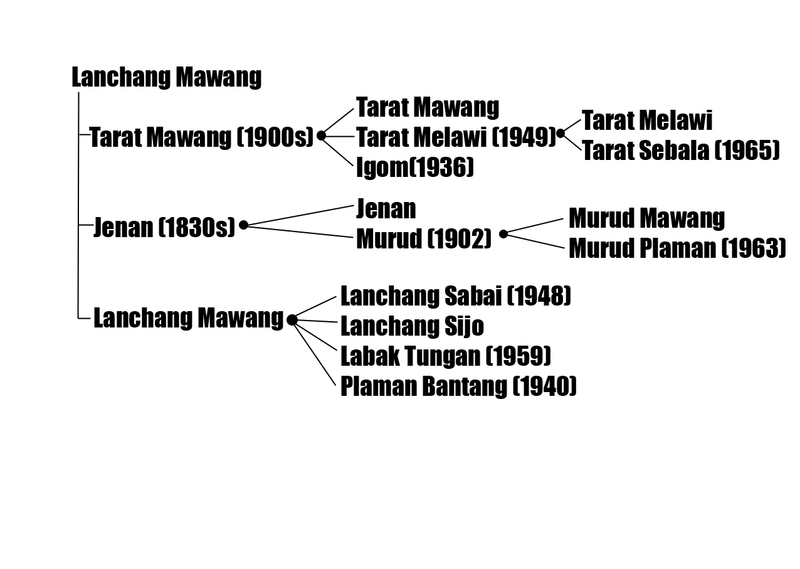 Tarat Melawi: Created as some families still wanted to practice paganism. Tarat Sebala: (to stay together) They didn’t want to join Anglicanism. Most places are named after rivers or mountains. Roman Catholicism, Anglicanism and Seventh Day Adventists are the main religions practiced. Paganism is virtually gone, with most traditional ceremonies and rituals a relic of the past.